How does water damage affect your asset? Water damage can be a costly and complex when it comes to repairs. If left untreated, the damage will only increase and become costlier as time passes. Being in Perth aren’t exposed regularly to heavy rainfall. However, there are times of the year when rainfall is at its peak and can be hugely detrimental to any type of building, especially with the addition of our strong coastal winds. What does water damage look like? sometimes you visibly can’t see the water damage, but you can hear it. It could be the sound of dripping water in the walls. stagnant water often leaves a smell. Meaning, when you have water damage and it is leaking into one area and going untreated a smell will most likely form. Or puddles of unexplained water inside: when there is dripping or leaking, this subsequently results with pools or puddles of water forming. If a property is feeling cold and is difficult to heat this could because of dampness in the walls. Water and moisture will draw out heat from the walls and then evaporate, resulting in the walls and property to be substantially colder than normal. If there are signs of mold, then there is too much moisture building up in this area. Mold can also have its own smell and diseases that can bring further health problems. When there are streaks of water running down the side a structure or internally consistent, there is often a stain left as a trail behind. 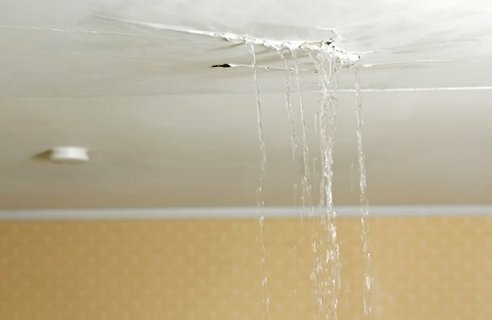 This is a very common sign of water damage. BUSS employs a range of specialised techniques that can help determine the cause and location of any water damage. With over 20 years’ experience in the waterproofing industry for both residential and commercial industries, BUSS have expertise knowledge and skills to assist with any water damage. Contact us below or call 08 9444 1732 for more information.